The Wagner Group is a mother-son team. 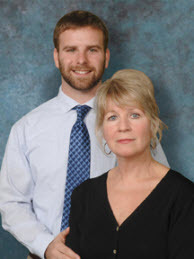 We are both life-long residents of northern Kentucky and together we have been helping people find their dream homes for over 25 years. We have made many friends along the way and we love meeting and helping new people as well as assisting old friends. Our past clients know that with us, they are clients for life and they can reach out to us with any problem or question, big or small. The Wagner Group has been with Huff Realty since 1997 because it is a great LOCAL brokerage that gives us access to all of the latest information and technology in order to better serve you. We love that we are able to give our clients the intimate small business relationship feel while still offering all of the benefits of the largest and most respected real estate Brokerage in the Tri-State Area. Please contact us today with any real estate questions you have! Interested what your home is worth in today's market?